Rat Cheese: Internet Hoax or Future Delicacy? Cheese makes for great rat bait, but could rats make for great cheese? The Federation of Rodent Cheese Makers (F.R.C.M.) would say so. According to their outdated website — the only evidence of the organization online — rats make fine cheeses that are becoming ever more popular. The artisans would have you believe shipwrecked sailor Marcel Loussier made the first rat cheese out of longing for his native France and that the Copenhagen Institute of Agriculture reinvigorated the world of rodent cheese with the invention of the Automated Rodent Milking Machine (A.R.M.M.) in 1996. If you buy all that, they would be happy to help you pay 139 dollars for KG Blue Cheese, the so called “nectar of the gulags” made from the milk of the Siberian Udder Rat. You’d need an army of 674 rats to produce the 31 kilograms of milk one dairy cow puts out each day. Of course, you shouldn’t pay. Rat cheese is bunco of the highest order. You don’t have to read further than sentences like, “Perhaps the most famous consumer of rodent cheese is US President, George W. Bush,” to know you are being duped, but you absolutely should. The hoax plays on the sympathies of any foodie, promising cheese from “happy animals” and a host of health benefits that helped Mr. Loussier, the ostensible father of rat cheese, live to 96. Not since Fat Tony of The Simpsons filled a contract for Springfield’s school milk with a factory farm full of lactating rats have we faced questions of rodent dairy production. Could you ever make cheese from rat’s milk? More to the point, could you ever milk a rat? The main challenge for a rat cheese maker would be the scale of production. Even sheep and goats don’t produce nearly the quantity of milk you can get from a cow. “The smaller you go down the animal chain the less milk you are going to get,” says Nora Weiser of the American Cheese Society. You’d need an army of 674 rats to produce the 31 kilograms of milk one dairy cow puts out each day. If you did muster such an operation, rats might actually make for pretty good dairy animals. Rat’s milk is high in protein (8 percent) and contains almost four times the fat by volume when compared to raw cow’s milk, so it would make a great brie and stand as a rich addition to a cup of coffee in the morning. A rodent dairy farm would also earn a stellar environmental report card. 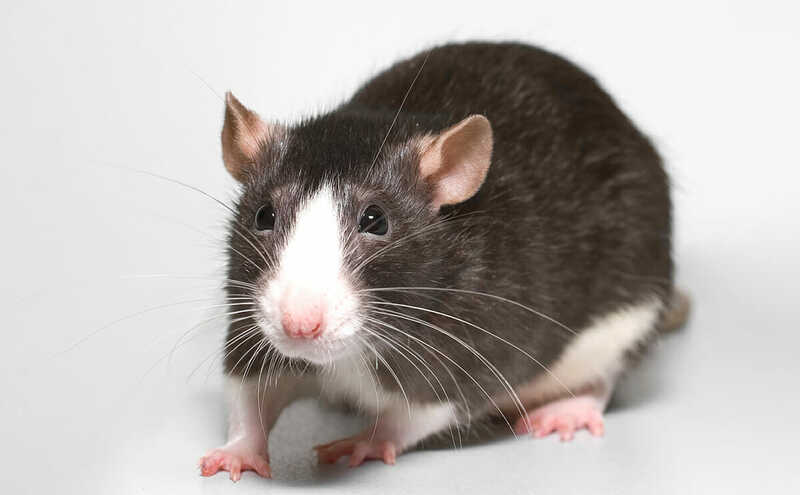 674 rats would only produce .003 percent of the methane that comes from a dairy cow, so a piece le fromage de rat could end up being the most sustainable high-end cheese at the deli counter. But then again, there’s the ick factor. “I think [rat cheese] would be a tough sell to customers,” adds Weiser with a laugh. The Federation of Rodent Cheese Makers could not be contacted for a response.